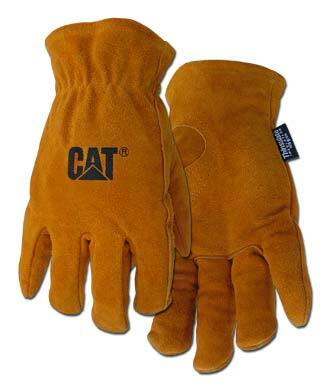 Unfortunately, the Boss / CAT Gloves - Top quality gold split leather is no longer available. You can explore other items in the Safety Gloves category yourself to try and find the perfect replacement for you! 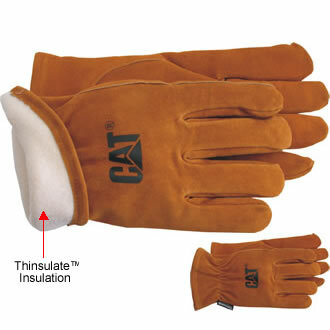 Top quality gold split leather with 100 gram Thinsulateâ„¢ Insulation. Gunn cut design with keystone thumb for comfort and mobility. Shirred elastic wrist for snug fit. Self hemmed open cuff. Cat logo imprinted on back of each hand.